Warning: Pearl wearing is addictive!!! Every girl loves pearls! The Hawaiian woman’s diamond. 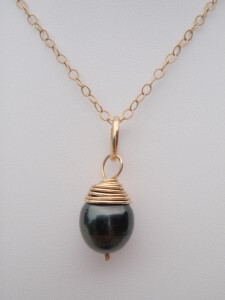 Born of the ocean, on Tahiti, these “Black Pearls” come in all lustrous and inspiring shades: cream, bronze, brown, green, blue, yellow, and silver. 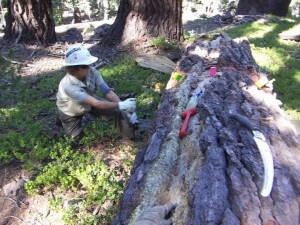 My fun level in creating art, soared to new heights, when I started to incorporate these gems from Mother Nature. Adding all of these exotic colors into my pieces, keeps me making more. Each pearl is unique, and the Rainbow of colors is endless! 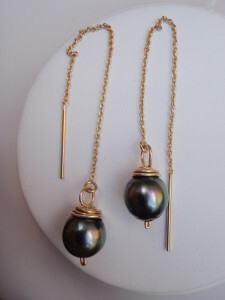 The warm color of the gold metal inspires me to use the warmer, greener pearls. 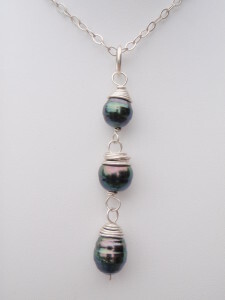 The cool color of the silver inspires me to use the cooler, silvery-color pearls. 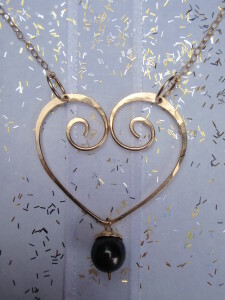 Toni created Hawaii Jewel to offer contemporary Hawaiian jewelry designs, sets and collections inspired by nature and love. 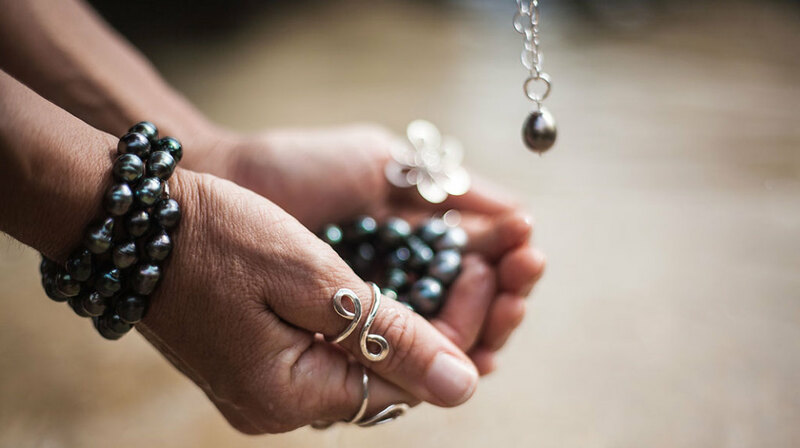 Each exquisite Tahitian Pearl jewelry design is handcrafted using Toni’s metalsmith skills shaping gold and silver to integrate Tahitian Pearls into a unique, beautiful Hawaiian heirloom jewelry piece from her on Kauai’s North Shore. 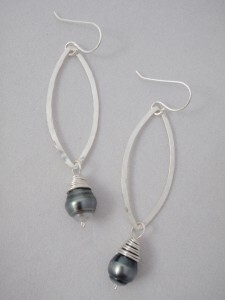 Artisan styled and hand made, each work is signed by Toni. 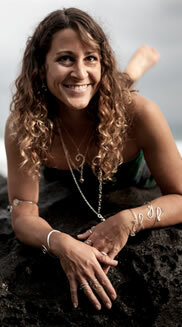 Hawaii Jewel jewelry arrives with Aloha, direct from Kauai, Hawaii’s Garden Island paradise. 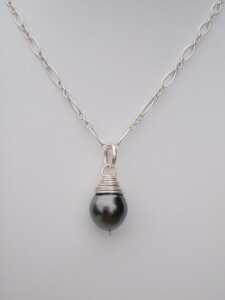 Hawaii Jewel handcrafts many exquisitely design gold and silver jewelry styles using beautiful Tahitian Pearl jewelry designs for rings, earrings, necklaces and bracelets. 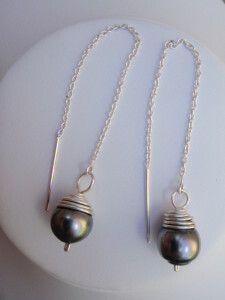 Explore Hawaii Jewel’s Tahitian Pearl Jewelry designs below.